Vintage Pattern Jackpot? ~ Diane's Vintage Zest! 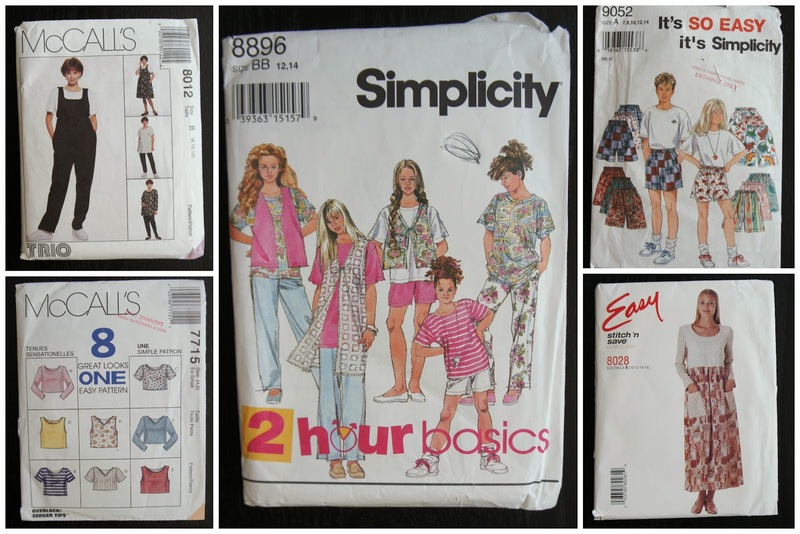 Well, remember when I went to the swap meet and got all of those patterns for free? Well, I thought that I would share the goods with you all, in case any of you were curious. There are a lot more duds in this collection than treasures, for sure! :) The fabric finds were much more successful! 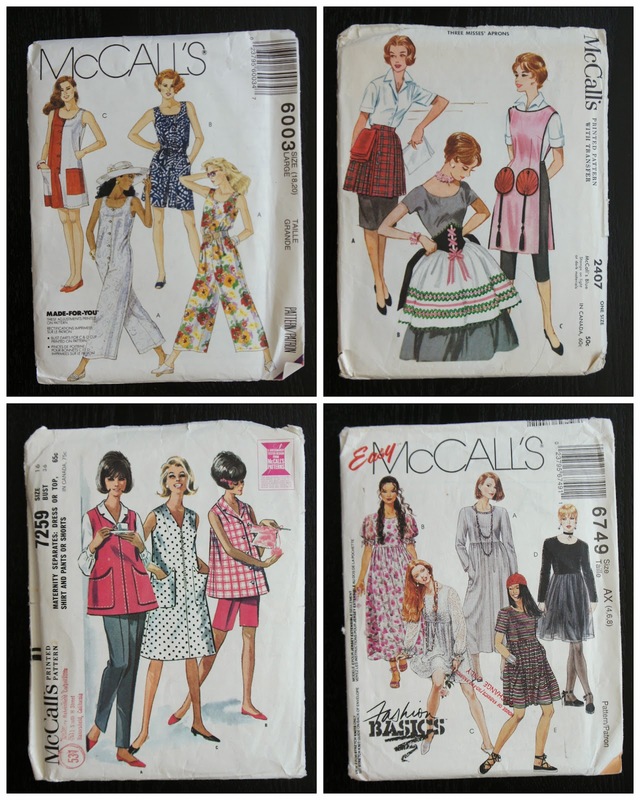 By the way, these are my first vintage patterns ever! Then again, I suppose in 20 years, the patterns that I've been buying will be considered vintage. 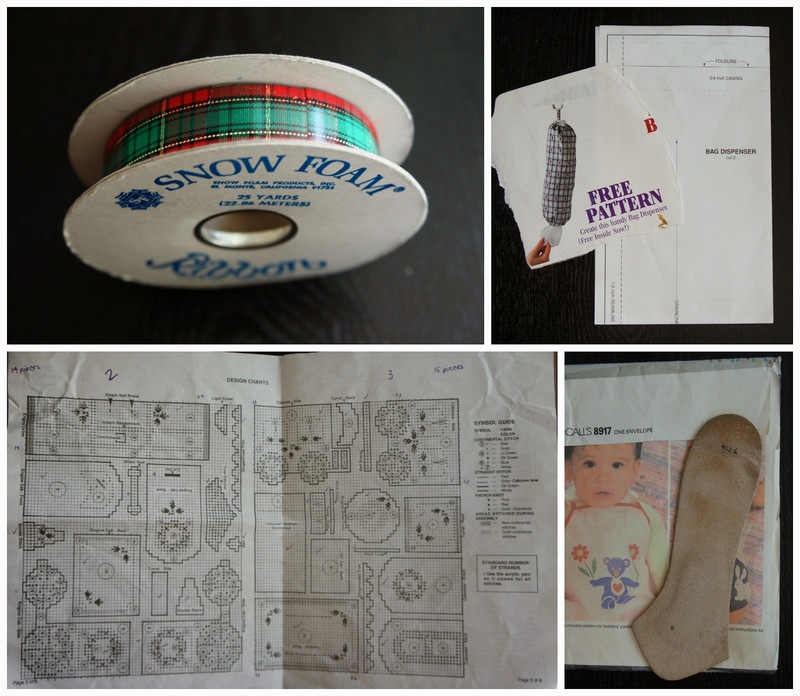 :) Also, I was hoping to find a little bit of history, like Tasia found in her patterns! Let's start off with the favorites! M6003: Rompers intrigue me since mimi g. showed her own pattern that looks cute and modern! M6749: Maybe view D or E would cute in the right fabric? On the flip side, here are possibly the worst patterns of the bunch. M8012: What adult needs overalls? Assuming you're not a farmer, of course. M8896: The styling and fabrics are HORRENDOUS! I lived through the 1980s (although I was little) and I probably had an outfit similar to the girl doing the "I'm a Little Teapot" pose in the front. S9052: I can't get past the fact that these look like cheesy boxers. M8028: Not even a professional model can look good in this one. Here are some children's patterns, which I won't need anytime soon, but I'll hold on to. Look how cute some of the vintage envelopes are! S7661: This is adorable! I think the envelope is probably cuter than the garment. S5681: This is going to be made one day, even if she doesn't ask for it! M6268: The smallest pattern out there. It looks like I'll be covered for a range of ages! Now for the quilting patterns. I'm not a quilter, but maybe I'll hang onto them for the future. Apparently back in 1978, this lady from California requested a couple of patterns to be mailed to her. I love the U.S. Postage stamp, and it cost only $.13 back then! I might sew these next patterns one day? I suppose if someone wants to be a chef for Halloween, I'd have the pattern ready to go. Children's room accessories, why not? An 1980's style maternity dress? We'll have to wait on that too! Okay, more women's dresses that fall into the "Eh, Take It Or Leave It" category. They could be cute with maybe the right styling, fabrics, and changing around the skirt lengths. Yep, that first pattern calls for shoulder pads. Yuck! I already have shoulders like a linebacker, so I don't need any help! Now, a few non-pattern extras: some good, some not so good. 3) Christmas decor needlework patterns, I think. 4) A single shoe insert, stuck on the back of a pattern. Um, gross. Well, after sorting through my patterns, I realized a few things. 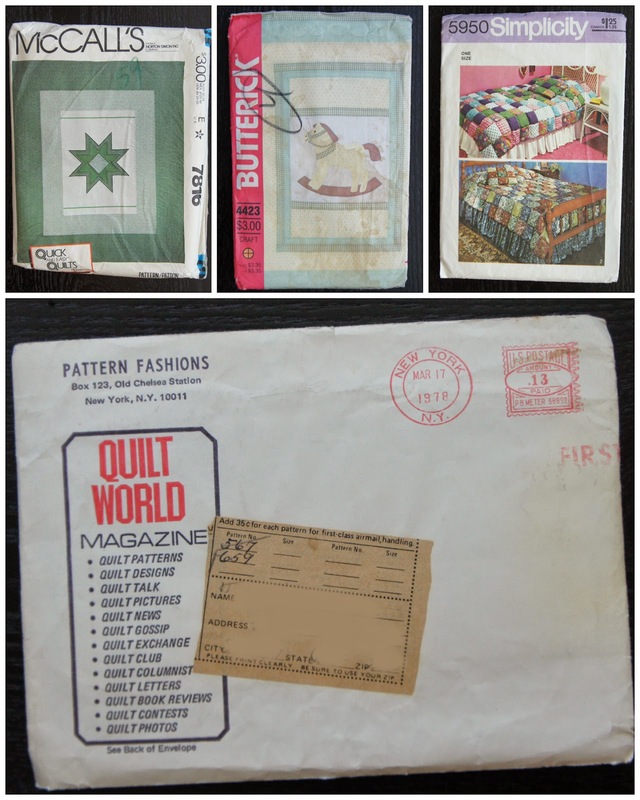 * I adore pattern envelopes from the 1960s and earlier. * Almost every 1980's pattern has terrible fabric choices. They seem sooo dated! * I love a bargain! Even better than that, I love free things! All in all "money" well spent! 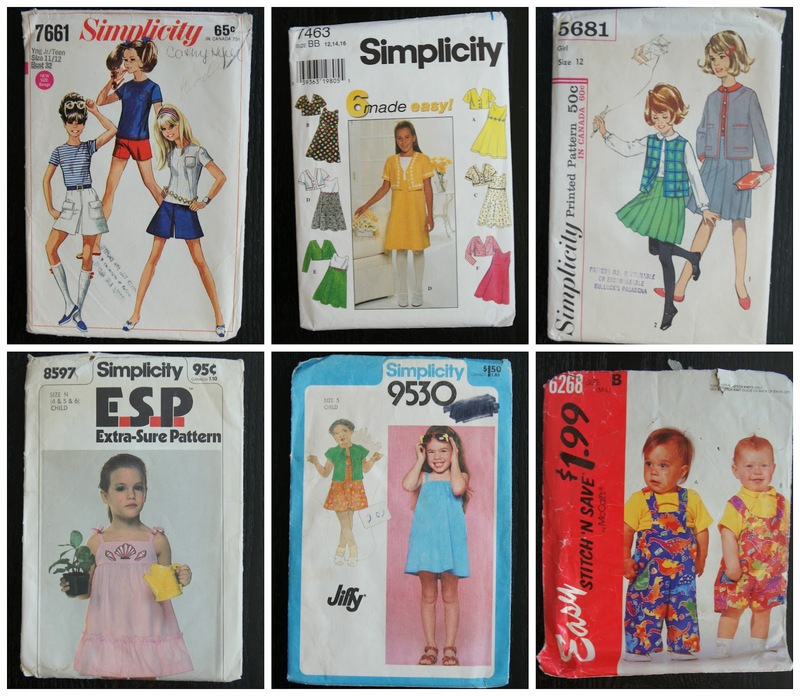 Do you have any favorite vintage patterns in your collection? I'd love to see! I love patterns, Diane, and found some last weekend for about $4.00. I do like the 60s and earlier. I am going to be making flowers out of some of the pattern paper and also try stamping on them. Thank you for linking up with Vintage View Sunday. 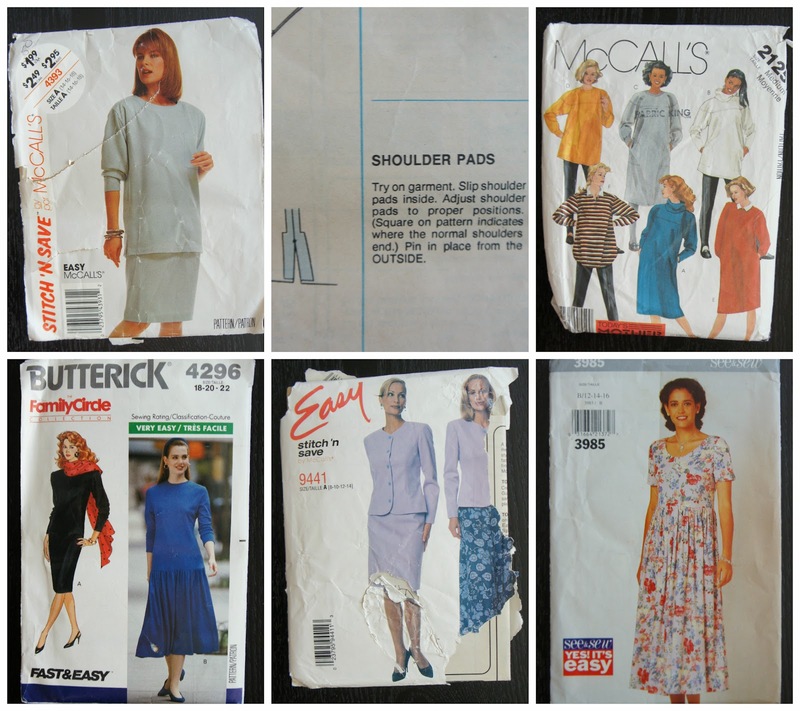 I've got TONS of vintage patterns! And like you, I hang onto a bunch that I really may or may not use! Sometimes I can't part with them just for the cover art. I love old patterns as well... they remind me of my grandmother; however, I"m more likely to craft with them than make the clothing. Is that terrible of me? You got a great stash!! Hugs. Wow - you got a lot of patterns from the swap. 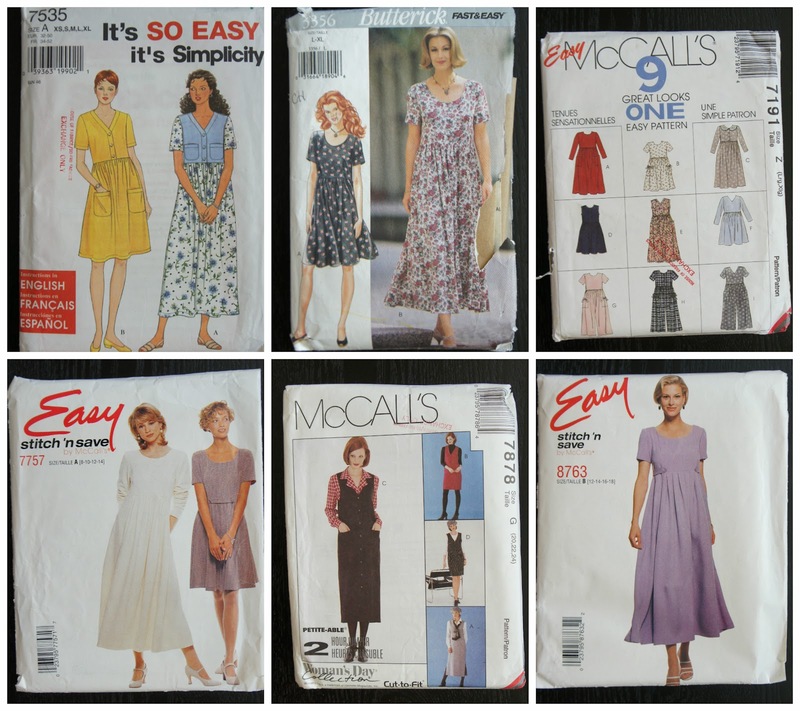 I think some of my patterns are starting to be vintage since I have been sewing for over 20 yrs. I was looking for something the other day in one of my pattern boxes and started thinking back to when I made some of the things in there - over 10 yrs ago. I hate to part with some of the patterns though as they are good basic ones that are kind of classics. I'll take your duds. There are some there that look so cute to me. Funny thing? I look great in shoulder pads. bahaha. Guess I was born to late, lucky for me I get all those great shoulder pad stuff at thrift stores. PS those children ones are adorable!! These are great. Thanks so much for sharing with Adorned From Above's Link Party.